Hey! I'm Jesi. Recently I landed my dream job, relocated to Chicago from Texas, and transitioned from being married to single. I travel for work around 70% of the time. My work territory covers Pittsburgh to Minneapolis. On weekends, I hunt for bargain tickets to more exotic locations. Another focus for me is eliminating debt and coveting less “things”—exchanging them for experiences (I haven't purchased a single non essential item since the new year!). My favorite travel destination lately is the San Firancisco Bay Area. I go out there regularly to visit the headquarters for my company and I'm always impressed with the variety of things to do and the beauty of the scenery! Downy Wrinkle Releaser: When I first flew to Palo Alto for my big panel interviews with some very important players from my company, I packed two shirt options for the big day. Both shirts needed to be ironed. After attempting to utilize the iron from the hotel, I burned a hole in my favorite shirt. No more travel irons for me. Wrinkle Wiz saves me every time and is so necessary when you spend up to two weeks on the road for work meetings. Powerbeats3 Wireless Headphones: I spend so much time on planes and running through airports schlepping bags on and off, that wireless is key. Also I love getting lost in music so I need to have a quality headphone that cancels out the chaos around me and sets an ambience for my day. First Aid Beauty Ultra Repair Cream: Jumping time zones and drastic climate shifts does a number on my skin. 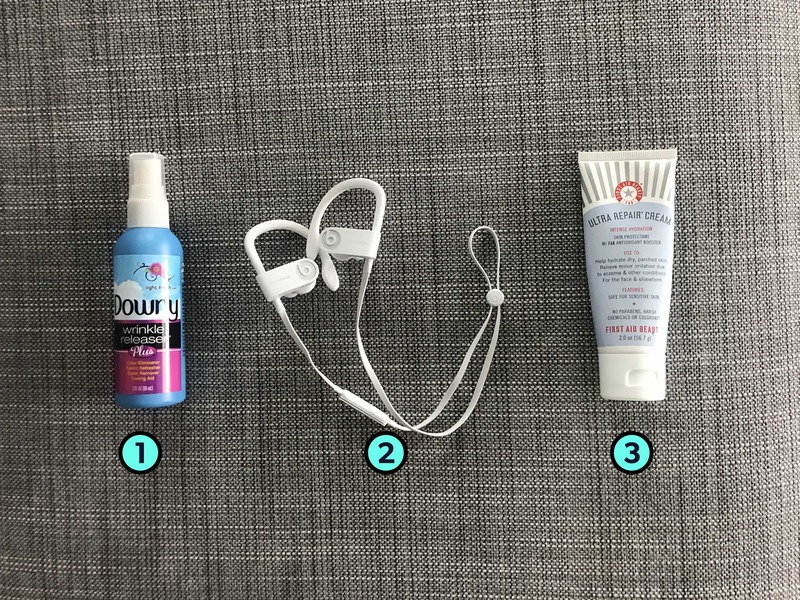 The moisturizer comes in a 2 oz size, so it is TSA friendly and I never fly without it. I want someone to build an app that allows me to find the cheapest flight out of my airport, so I can book a last minute flight out of town for the weekend. I find that I have to search by individual airline, or play with Kayak's Explore feature which never has dates that align with my availability. What’s the oddest thing you carry with you while traveling? This happened once and I haven't done it again, but when I went to Ireland for my wedding, I brought laminated cutouts of my mom and my puppy. Since none of my family was present for the wedding and my mom has never been outside of the country, I strategically placed her paper figure in places that looked as though she was actually along for the trip and then I'd send her the photos at the end of the day. What’s your favorite piece of weird travel gear? 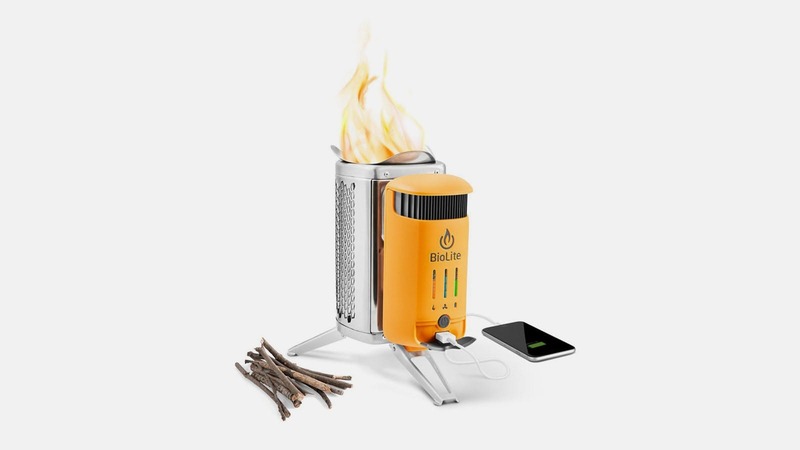 The BioLite CampStove. I was looking for all kinds of trinkets for taking a trip to the Grand Canyon and I came across this gem. Cook your hot dogs and charge your iPhone, all in one! My words of wisdom would be these: Pack minimally and hand wash your garments when needed. Don't over-plan before an international trip, getting lost and getting adventurous is half the fun! Make sure to keep your body balanced, for me this means paying attention to my water intake and ensuring I consume as much produce as possible. It is too easy to get sucked into eating junk when you're never able to cook, and feeling sick on the road will really ruin your wanderlust.